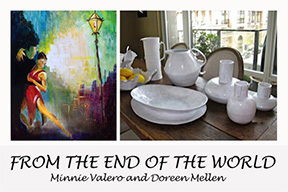 Works by Doreen Mellen and Minnie Vallero were on exhibit at the Spanish Village. The lovely setting showed works form both artists in a beautiful open cottage setting. Lots of visitors made it a delightful week on all counts.